This impressive cordless telephone was B&O’s first full implementation of the DECT standard for digital cordless telephones. 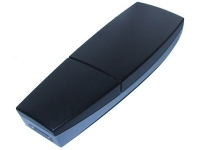 It replaced the previous Beocom 5000 cordless model and was generally a more versatile package. Text copyright © Beocentral. Unauthorised reproduction prohibited. The handset itself was simple and elegant, though its curved profile was better as a piece of styling than ergonomics. In particular, the microphone was badly placed at the bottom (facing away from the user’s mouth) and the whole thing became uncomfortable to hold during a long call. There was no doubting the excellence of the technology however. 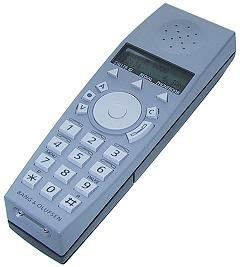 The DECT digital system provided noise and fade free communication with the base unit and the user interface was first class. Use was made of a “wheel”, which allowed the various lists (stored numbers, recently dialled numbers, caller display lists etc) to be scrolled through quickly and easily. The wheel could also be used to control the volume setting of the telephone’s ear piece or any B&O audio/video system that used the Beolink 1000 terminal. The latter function had of course been seen before on B&O telephones, for example the Beocom 5000 AV. Text copyright © Beocentral. Unauthorised reproduction prohibited. Following the aims of the DECT system, the Beocom 6000 base unit was designed to serve a number of handsets and become the centre of a home telephone exchange. Handsets operating on the same base could be used to make calls between each other and could transfer calls, making for a very versatile system that was at the same time easy to install and use. Lists of names and numbers could either be stored in the handset or in the base unit, where they would be available to any handset on the system. The caller display system (a subscription service provided by the telephone company) could display a list of the most recently received calls and the time that they were made on any handset on the system as well. Text copyright © Beocentral. Unauthorised reproduction prohibited. One handset could also be used with a number of different bases too, for example to provide full coverage in a large building. Selection could be made automatically or manually as required. Text copyright © Beocentral. Unauthorised reproduction prohibited. As originally offered, the Beocom 6000 system had to be bought as separate pieces. 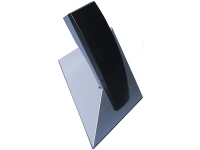 The handset and base unit were sold separately, along with a choice of charger bases for wall or table mounting. The base unit could also be used as a charger if only one handset was required. Later versions of the handset could be recognised by their black keys and wheel (the light grey keys of the original version showed dirt very easily), along with new colour choices for the rear cover. The base unit was renamed as the “Beoline” base in later versions and was optionally available in an ISDN version for special networks. Text copyright © Beocentral. Unauthorised reproduction prohibited.